Complete the Maths Mate Skill Builder page. Read aloud to someone in your family and start to think about the topic for your Information Report. Mathletics tasks have been set as well. Please collect a 1.25L soft drink bottle for next Wednesday. We are going to do an experiment related to our topic – Liquids, Solids and Gases. The date will be 27th July – delayed due to Hoop-Time last week. Each week we are having a discussion related to concepts presented in a picture story book. 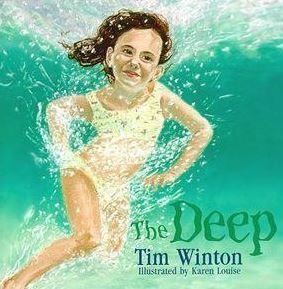 This week we listened to ‘The Deep’ and worked hard at developing the skill of formulating and expressing our thoughts about fear, independence and confidence. Topics that have been covered in Mathematics this week include: shapes, mental arithmetic, time and maps. We watched a short video clip where an aboriginal woman painted a didgeridoo and other aboriginals explained how the didgeridoo was made from the Stringybark tree.